Placeit is now part of the Envato family, which means if you already had an Envato and a Placeit account, these will be merged together so you can use the same login credentials. 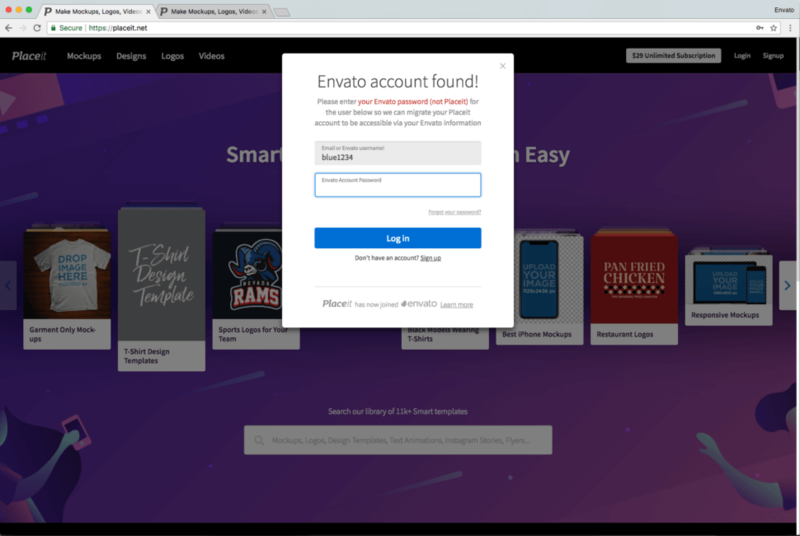 As you already know, Placeit just joined the Envato family, which means you can now log in to all the Envato properties as well as to Placeit with the same email address. And if you already had an Envato account and a Placeit account, these will be migrated. How? It’s easy. Here’s a quick video that goes over the process for you. Type your Placeit password – the one you’ve been using all along. 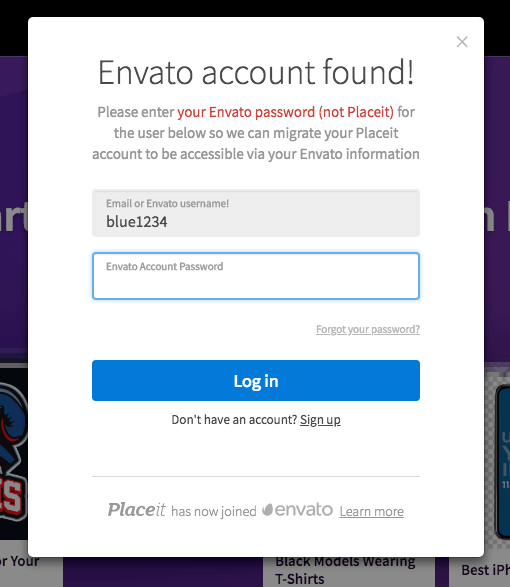 Placeit will find that you already had an Envato account! 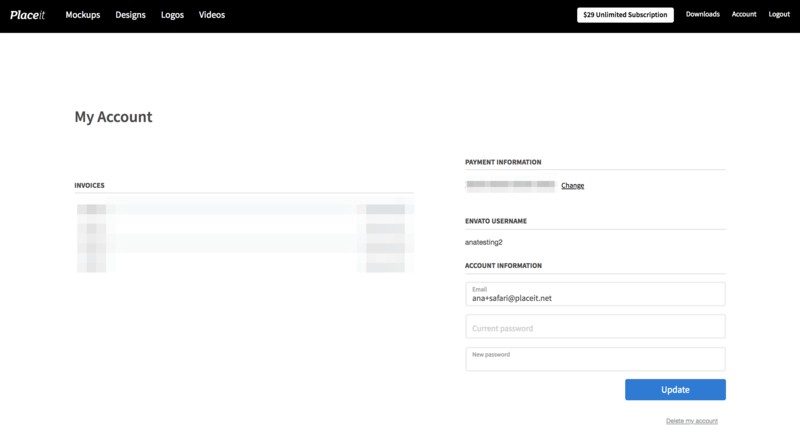 Type the password you use to log in on Envato – Don’t remember what that is? Reset it here. That’s it! Your Placeit and Envato accounts have been merged! 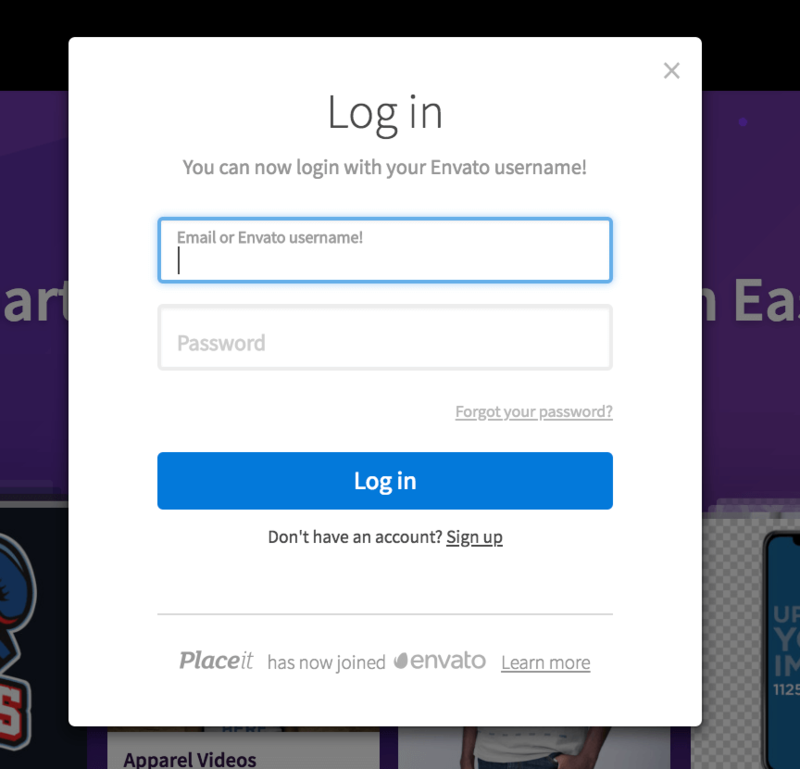 To log in to Envato: use your username – which can be found inside your Placeit account. Questions? Email us and we’ll clear them up for you.